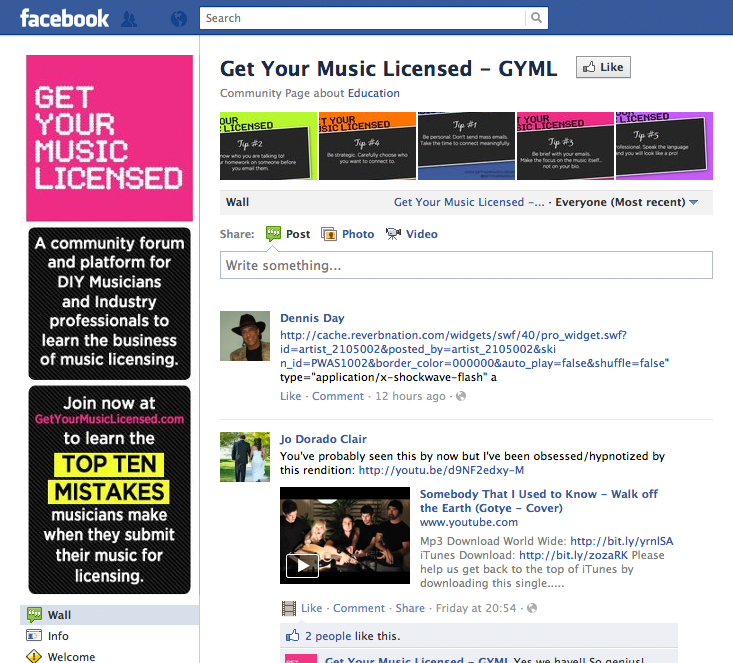 Our friends at GetYourMusicLicensed.com help teach musicians and producers how to, well, get their music licensed 🙂 They needed to redesign their Facebook Landing Tab to increase engagement. By offering a free video in exchange for the visitors email address, they were able to capture new leads through Facebook. We also helped GYML with their Facebook Page design which included an elongated main profile photo to take advantage of the left sidebar space, and matching “featured graphics” which are seen at the top of their Facebook Wall. For the featured graphics we gave the idea of sharing “Tips” with their Facebook community.